TheMART has a new look! 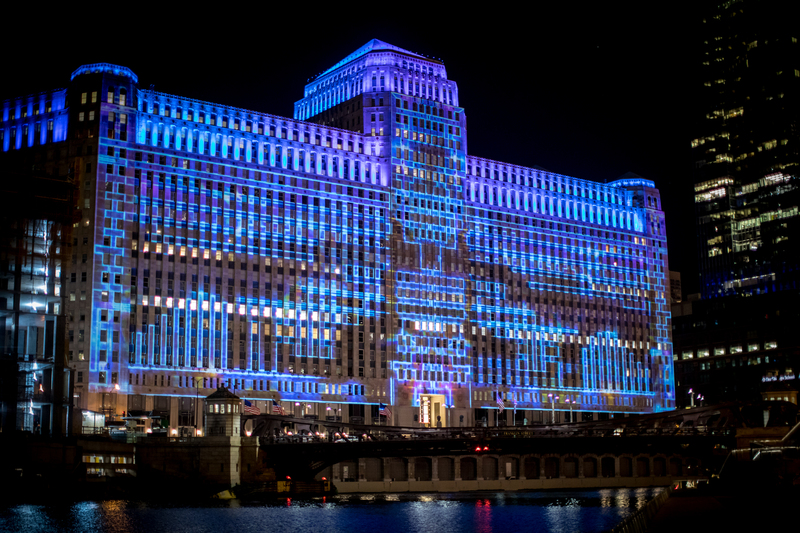 Wednesday – Sunday, now through December 31 from 7:00 – 9:00 p.m., theMART transforms into Art on theMART, the newest addition to Chicago’s vibrant public art scene and the largest digital art projection in the world! For more information, visit artonthemart.com. Seasonal imagery started on November 17th, and will culminate in a special New Year’s Eve viewing. Bring your hot chocolate, and check out Chicago’s latest holiday destination!